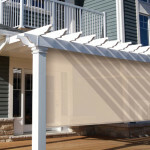 Solar shades will help control heat anywhere, especially on screened in porches, gazebos, patios, and skylights. Indoor solar shades are great for energy efficiency and privacy, while outdoor solar shades can be retractable and lowered as needed. The Shutter Guy will help you select the perfect porch or patio shade so that even in the hottest times of the day, you can still enjoy the outdoors. It is a fact that our solar shades will keep your outdoor space cool, allowing you to enjoy entertaining family and friends. Not only are they practical, they are stylish too. 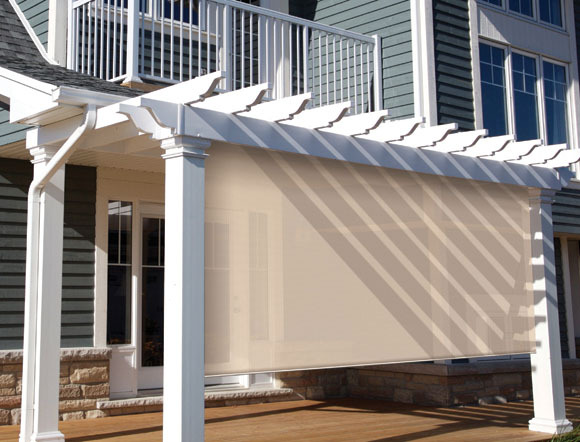 Solar shades are made to block out the sun better than a standard roller shade. They offer you privacy and come in many styles and materials to match any décor. HOW DO I KNOW I NEED SOLAR SHADES? Your room or outside area heats up from morning or afternoon sun. Your home is situated where people can look into your windows. If either of the above is true, you may want to consider solar shades. 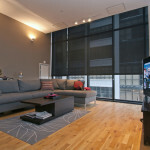 Solar shades block up to 90% of the sun’s heat and UV rays and come in a variety of styles and colors. The Shutter Guy can help you find just the right opacity to meet your room requirements, from an openness rating of 5%, which is more opaque, to an openness rating of 10%, which is more transparent and has less heat deflecting properties. 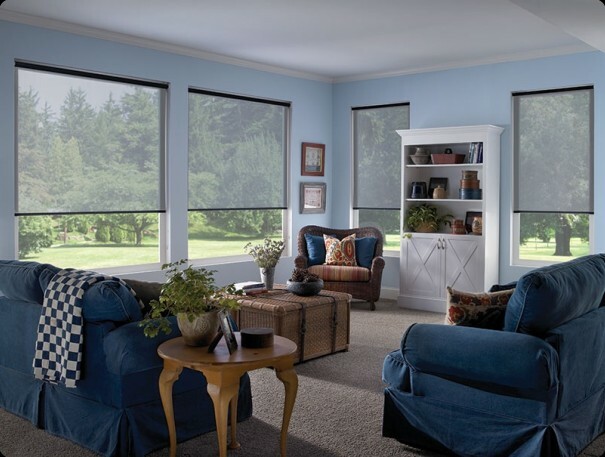 The Shutter Guy carries solar shades from top manufacturers such as Horizon Window Fashions, Coolaroo Outdoor Shades, and Aeroshade Porch Shades, just to name a few. 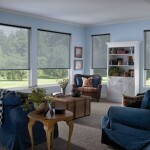 Shutter Guy offers a large selection of solar screen shades in the Charleston, SC area. We also serve Goose Creek, Summerville, Isle of Palms, Sullivan’s Island, Folly Beach, Mt Pleasant, Seabrook Island, Awendah, and surrounding areas. Click here to contact the Shutter Guy to learn more about how solar shades can help save you money on your energy bill and protect your furniture at the same time. Hunter Douglas Window Covering Rebates! 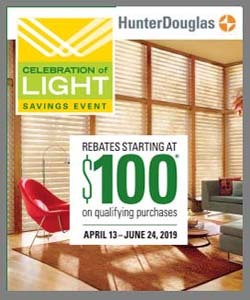 As your local Hunter Douglas Window Fashions dealer, we offer promotions & rebates. 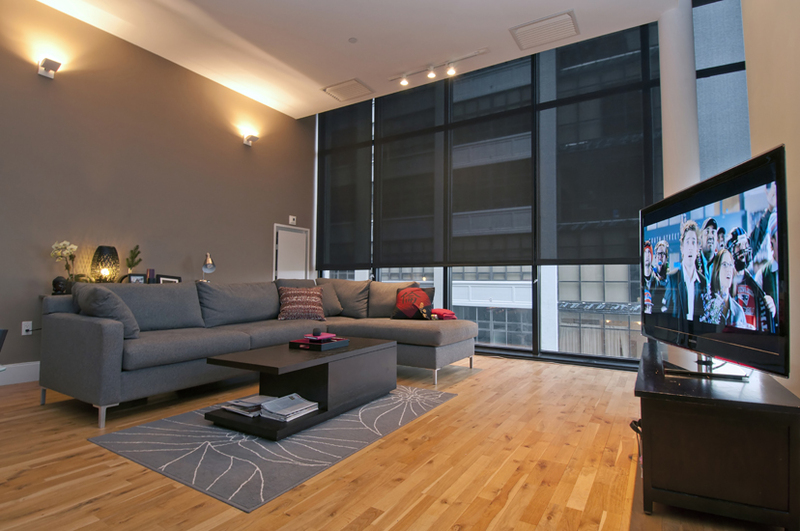 Getting the Most From Your Window Treatments? The Shutter Guy operates in a 100 mile radius of Charleston, SC, including, Goose Creek, Summerville, Isle of Palms, Sullivan’s Island, Folly Beach, Mt Pleasant, Georgetown, Myrtle Beach, Kiawah Island, Seabrook Island, Awendah, the "Low Country" SC, and surrounding areas.